It is better to dig with a shovel with a long handle. Otherwise, digging out a trench with a short shovel will take quite a lot of time and energy. 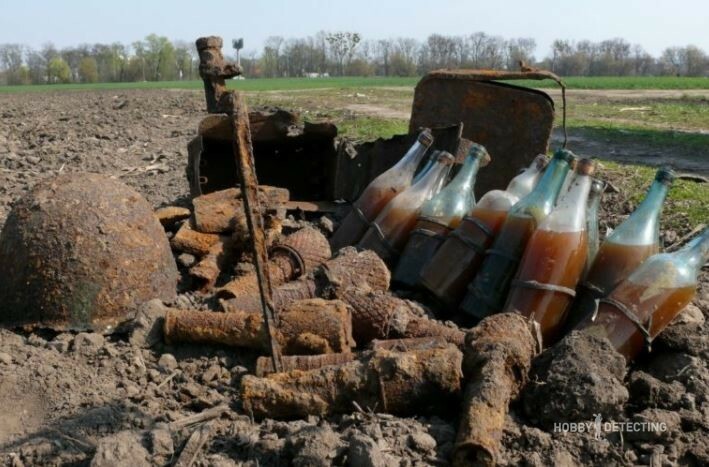 For especially experienced diggers it can take several days in a row to finally get all the remains of soldiers and things out from the trenches and dugouts. 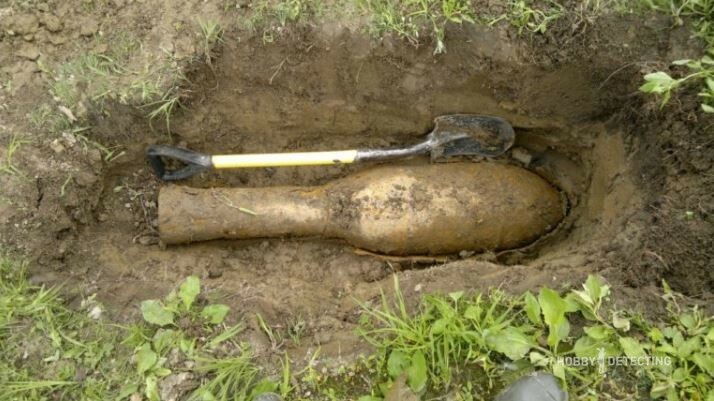 If you dig out a large object, it is better to dig it out over the entire length and width, otherwise, you can ruin the helmet, or bend the barrel of the weapon. Becuase when having the adrenaline in your head from the euphoria of the find, you often simply pull the find over the edge and break it. It is better not to touch the various shells and other exploding things in particular – the main rule is “do not touch it, and it will not touch you”. 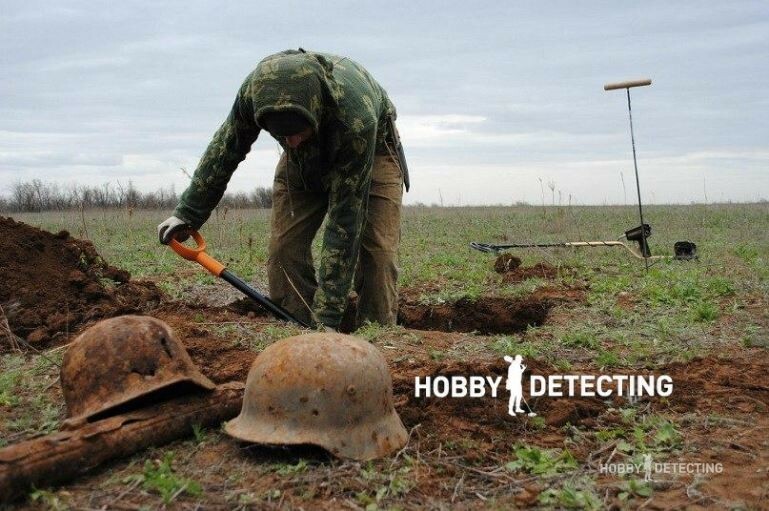 If you come with a metal detector to a battlefield, then do not be surprised that it will give a lot of signals all the time, because there will be a lot of metal and the signals will be very good! And what advice do you have about detecting? What interesting finds do you have? Send us your finds and let us all look at them – the mountains of gold from the Third Reich, SS buck, es and medals from different countries.